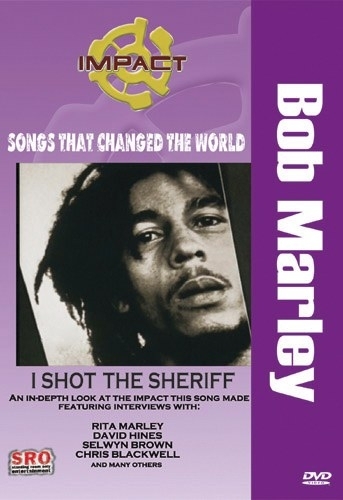 From The Impact Series, Songs That Changed The World: featuring Bob Marley: I Shot The Sheriff became a direct response to political oppression. Despite whatever Bob Marley’s original intent was for this song, it assumed a bigger meaning; fighting against social oppression and social injustice. I Shot The Sheriff became a direct response to political oppression. 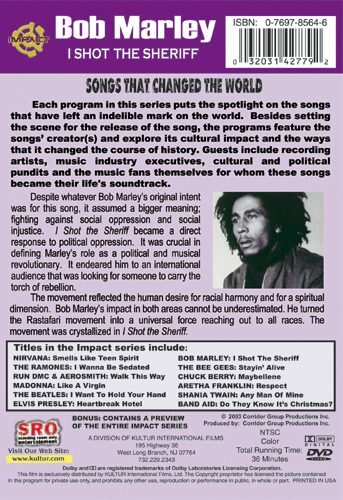 It was crucial in defining marley’s role as a political and musical revolutionary. It endeared him to an international audience that was looking for someone to carry the torch of rebellion. The movement reflected the human desire for racial harmony and for a spiritual dimension. Bob Marley’s impact in both areas cannot be underestimated. He turned the Rastafari movement into a universal force reaching out to all races. By the mid ‘70s, Bob Marley and reggae music had broken through internationally and by the late '70s, reggae and punk would in fact unite under the banner of Rock Against Racism.